Fifth-generation combat capability requires similarly capable weapons. Raytheon will be providing Australia’s F-35s with the tactical edge they need to establish and maintain air dominance in the 21st century. Fifth-generation fighter aircraft, like the F-35, represent the pinnacle of modern fighter technology. Incorporating all-aspect stealth even when armed, low-probability-of-intercept radar, high-performance air frames, advanced avionics and highly integrated computer systems, these aircraft provide unrivalled air dominance, situational awareness, networking, interdiction and strike capabilities for commanders. Central to these capabilities is the aircraft's ability to engage air, land and sea targets with a range of weapons systems as advanced and capable as the aircraft itself. 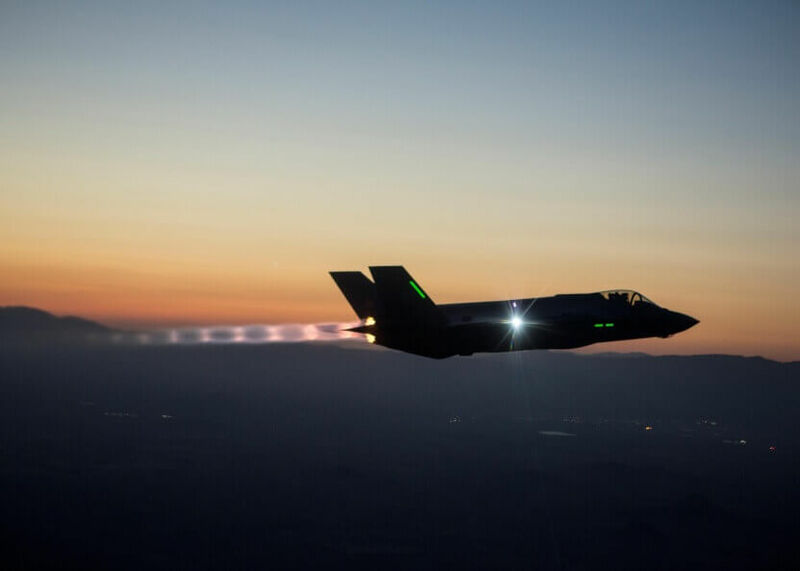 For Raytheon, providing the F-35 with the advanced weapons systems it needs to enhance their lethality today and into the future is a core mission. "Raytheon provides a number of advanced weapon systems for the F-35A platform, enhancing the capability and lethality of this class of aircraft," a Raytheon spokesperson explained. Accordingly, Raytheon is providing a range of state-of-the-art weapons systems to Australia's F-35 fleet, which will see the aircraft dominate the air, ground and sea domain, today and into the future. Additionally, the open systems architecture and advanced networking capabilities of the F-35 allow for an unprecedented degree of future proofing for the weapons system load out, enabling Australia's F-35s to respond to existing and emerging threats. "These weapon systems will deliver for the Royal Australian Air Force a new combat advantage while also providing the opportunity for greater interoperability of systems with allied forces," the spokesperson said. AIM-9X Sidewinder Missile: The Sidewinder missile is a 'tri-use' missile, effective in air-to-air, air-to-surface or surface-to-air applications with no modifications required. The F-35 can carry up to two AIM-9X missiles on its wings, with introduction across the F-35 fleet expected next year. The current version, the AIM-9X Block II missile, is in its 16th year of production. It adds a redesigned fuze and a digital ignition safety device that enhances ground handling and in-flight safety. It also features updated electronics that enable significant enhancements, including lock-on-after-launch capability using a new weapon datalink to support beyond visual range engagements. AIM-120 AMRAAM Missile: Currently the only air-to-air missile cleared to fly on the F-35, the AMRAAM provides the F-35 with a leading-edge air-dominance weapon. The AMRAAM's advanced active guidance section provides aircrew with a high degree of combat flexibility and lethality. Its mature seeker design allows it to quickly find targets in the most combat challenging environments. "The current weapon systems provided by Raytheon for the F-35A platform include the Advanced Medium-Range Air-to-Air Missile (AMRAAM), which is currently the only radar guided air-to-air missile that is cleared to fly on the F-35A," the Raytheon spokesperson explained. Raytheon is also responsible for providing the Joint Strike Missile (JSM) in partnership with Kongsberg. The Joint Strike Missile is the only fifth-generation cruise missile that will be integrated onto the F-35, and it will also be available for use on other aircraft intended for offensive anti-surface warfare applications. The missile’s design will allow it to be carried internally on the F-35, which helps increase the aircraft’s stealth capabilities. The JSM missile is suitable for use on the F-35’s A or C variants. AGM-154 Joint Standoff Weapon: The JSOW is a family of low-cost, air-to-ground glide missiles that employ an integrated GPS-inertial navigation system and thermal imaging infrared seeker. The C-1 variant is designed to provide fleet forces with the capability and flexibility to engage moving maritime targets, while retaining its robust capability against stationary land targets. The JSOW C-1 weapon is the world’s first network-enabled missile with a range of more than 100 kilometres. Paveway laser-guided bomb: The Paveway II bomb, a dual-mode (GPS and laser), precision-guided munition, can fulfil capability gaps for the F-35. The Paveway system include GPS/INS guidance capabilities. This innovation combines the accuracy and flexibility of traditional laser-guided weapons with the all-weather capability of GPS guidance, resulting in a weapon that decreases the required sortie count and weapon inventory while simultaneously increasing the mission success rate. StormBreaker (Small Diameter Bomb II): The StormBreaker bomb will be fully integrated onto the F-35 by 2022. The JSF will be able to carry eight StormBreaker II bombs internally and 16 externally. The weapon can fly more than 70 kilometres to strike mobile targets, reducing the amount of time that aircrews spend in harm's way. Its small size enables the use of fewer aircraft to take out the same number of targets as previous, larger weapons that required multiple jets. Raytheon expressed confidence in the future role it will play in supporting both the RAAF and the F-35, saying, "As the leading manufacturer for a number of weapons systems across the Australian Defence Force, Raytheon also has the opportunity to provide future weapon systems for the F-35A variant, including the Joint Strike Missile and our AIM-9X sidewinder missile."